Linguists across the world are of the opinion that close to half of the 7000 spoken languages will fade away by the end of the century. These are such languages which are no longer being encouraged to be used and are not transferred to the younger generation. These languages are termed as ‘Endangered’. Languages die when its’ speakers cease to speak the language. It is an attested fact that languages emerge and vanish in course of time. However language endangerment in the present time is alarming. The distribution of the world population and languages are heavily skewed: while 50% of the world population speaks one of the top twenty languages like Chinese, English, Hindi/Urdu, and Spanish which have over 50 million speakers each, and the rest of the world population speaks a very large number of small languages with speakers numbering only in thousands and hundreds. This coincides with uneven concentration of economic, political, social and cultural power among majority and minority language speakers to accelerate the loss of linguistic diversity. Endangered languages portray shifting of the demographic profile- the mean age of the speakers of language increases where it is only the older generation of the community who continues to speak the language and younger generation show gradual language shift to the major official language of the surrounding area. The preference is always in the use of powerful regional, national or global languages over the heritage language. This, in particular, is known as the language shift. Language shift could take place rapidly over a generation or two or could be gradual and continuous over several generations. 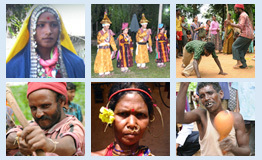 It often takes place with the rise of unstable bilingualism or multilingualism, that is, two or more languages are used within a community simultaneously but one of them is a dominant language and is used more widely, eventually replacing the roles the endangered languages played once in the community.